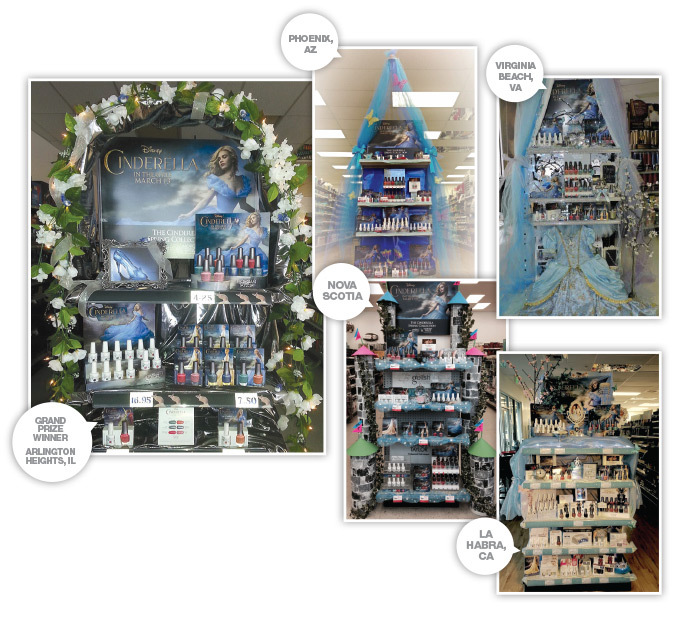 This spring, when the Cinderella Collection hit CosmoProf shelves, each store was challenged to create a beautiful Cinderella themed end cap to announce the launch of the collection. The challenge, of course, was issued with the promise of a prize for the lucky winning store. Our winners, from the CosmoProf store in Arlington Heights, IL, were flown to Beauty Systems Group headquarters in Denton, TX for a few days of fun and pampering. These lucky ladies also saw Cinderella before it was officially in theaters. Regional winners, who received movie tickets, included stores from La Habra, CA; Virginia Beach, VA; Phoenix, AZ; Halifax, Nova Scotia. Thank you to our winners and to all of the stores who participated in the contest! 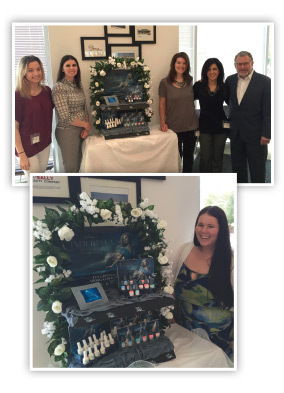 Special thanks to Beauty Systems Group's very own Pamala Roach, who designed a one of a kind Cinderella cake that was an exact replica of the winning end cap. The cake featured edible Gelish and Morgan Taylor Cinderella displays and bottles. Amazing job, Pamala! Hand & Nail Harmony educators once again proved their dedication and skills at this years' Danish Nail Design Championships in March. We are proud to announce that the educators placed in several categories using Gelish Soak-Off Gel Polish, ProHesion Liquid and Powder and Gelish Hard Gel. Congratulations to all of our winning competitors! is a hit in Dublin! 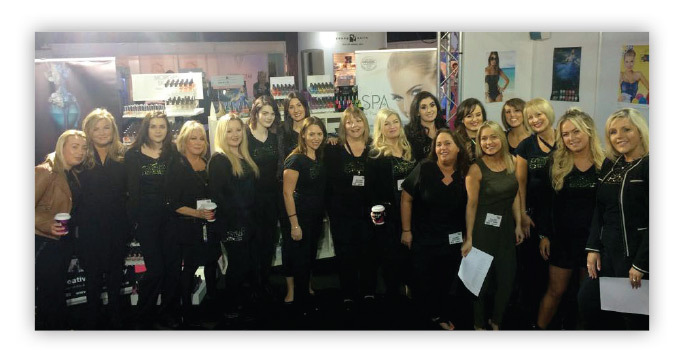 The Irish Beauty Professional Trade Show held in the RDS Dublin on March 8th and 9th was a great success for Hand & Nail Harmony distributor, Creative Academy and the Gelish and Morgan Taylor brands. Lines formed early on as the nail technicians of Ireland could not wait to get their hands on the new Cinderella Collection. 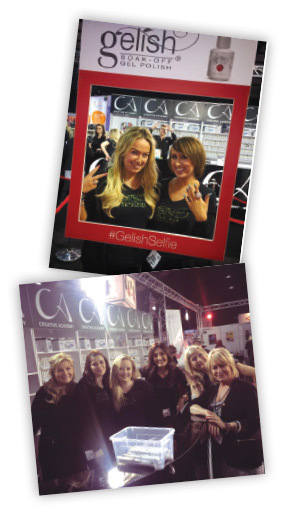 The collection was met with excitement and the Two of a Kind Duos were praised as fantastic business tools for salons. The whimsical packaging was eye-catching and helped create new customers for the brands. Creative Academy President, Karen O'Neil said about the show, "The hype at the stand was not matched anywhere else throughout the show and all the team at Creative Academy Ireland really enjoyed being involved in the Irish launch of the new Cinderella Collection."